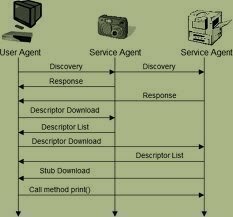 Zeroconf (zero configuration networking) refers to several protocols and techniques that are used together to create an IP (Internet Protocol) network with no special configuration servers or manual operator intervention. These networks allow novices to connect computers, network devices, scanners, and printers to create a functioning network without requiring manual configuration. Zeroconf does not require the user to set up Domain Name System services (DNS), Dynamic Host Configuration Protocol (DHCP), or manually configure the computer’s network settings. The three primary technologies that comprise a zeroconf network are automatic resolution and distribution of computer host names (referred to has multicast DNS), numeric network addresses assigned to networked devices (link-local address auto-configuration), and automatic location of network services. Zerconf uses a number of underlying technologies. 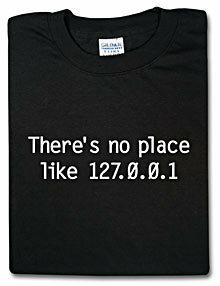 For address selection, link-local addressing replaces the DHCP server. 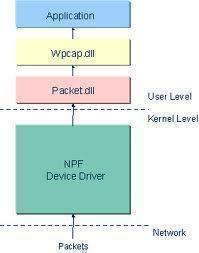 This capability is built into Ipv6 addresses. However, traditional Ipv4 is used as a last resort except in a zeroconf context. The multicast name service is used for name resolution in zeroconf in order to allow a network device to select a domain name in the local name space and then announce it using a designated multicast IP address. Zeroconf uses multicast DNS for service discovery. In this model, every computer on the local network stores an individual listing of DNS resource records and then joins the respective DNS multicast group supporting the zeroconf network. Finally, DNS-based service discovery is one of the largest aspects of the zeroconf implementation. It is very implementation specific, but relies on a type of messaging in order to discover services and provide notifications of the available ones on a network. What are the Advantages of Zeroconf? Zeroconf allows novice or non-power computer users to easily network one or many devices without performing any setup actions. On non-zeroconf supported networks, end-users must manually setup domain name system services (DNS), DHCP, and other networking infrastructure in order for the network to properly function. What are the Uses of Zeroconf? The zeroconf protocol has many uses. The best known implementation is Apply Bonjour, formerly known as Rendezvous. It significantly uses multicast DNS and DNS Service discovery and is available on Mac OS X, Linux, Unix, and the Windows Operating System. Other zeroconf implementations include Avahi and Windows CE 5.0. There are also a number of implementations of a subset of the zerconf protocol. However, none is a full enough implementation to be considered as complete as those just mentioned. 267 queries in 0.317 seconds.